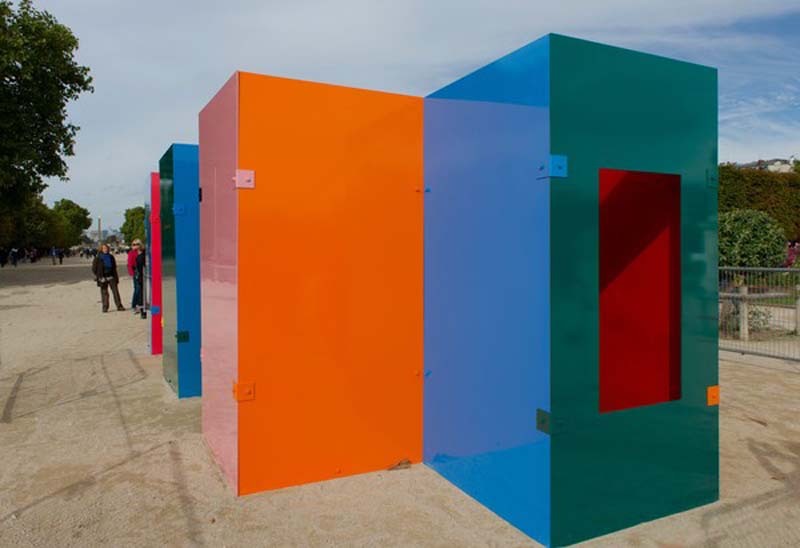 Los Angeles artist Sam Falls created an Untitled sculpture for Hors les Murs, a public art event in Paris, made up of colored metal boxes. 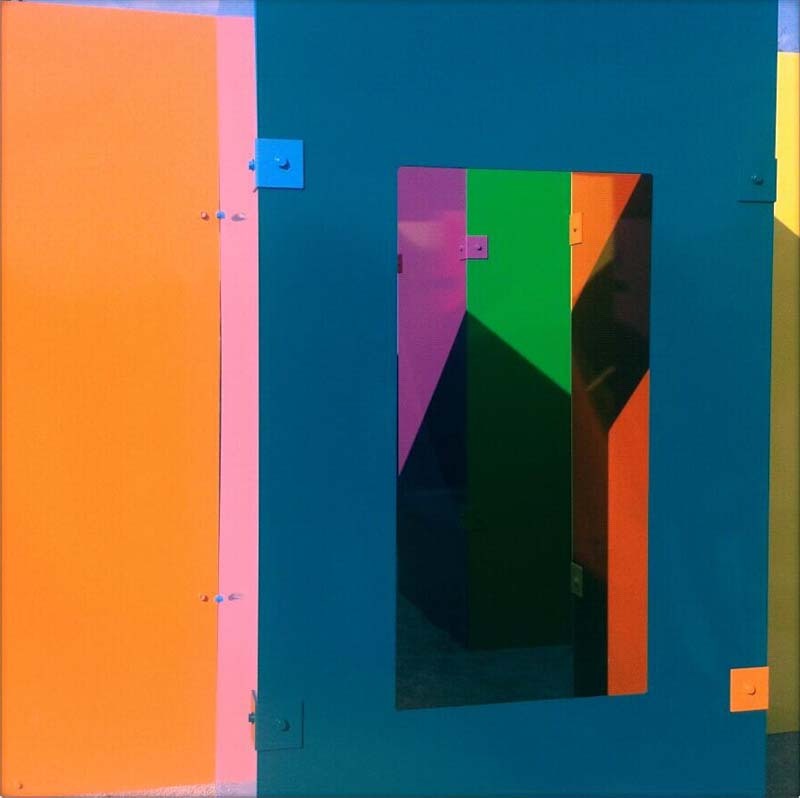 The exterior of these multi-color windowed pieces was coated in a UV-protected pigment. The inside of the same boxes were treated with an unprotected paint. Though each respective panel appears to be the same color on both sides, the sides facing inwards will all fade in the sun. The form that each sculpture takes is dictated by the shadows that fall on the inside of the sculpture and the gradient of sunlight is revealed over time, burned into the sculpture like a photograph. Unlike most outdoor sculptures usually designed to stand the test of time as well as the elements, Falls’ Untitled (Tuileries Colored Sculpture) is meant to age the way we do. But, there’s a final twist! Once the interior panels fade through their top coat, the bottom coat from the exterior will start to emerge, reversing the aging effect, and revealing the bright saturated color once again. Not so much what we as humans go through, though maybe if we exfoliate enough…. Photos: Courtesy Balice Hertling (Paris) et Eva Presenhuber (Zürich); FdN77’s twitter; Miami Herald; le banc moussu; and dalbera’s flickr. This entry was posted in Architecture, Art, Industrial Design, Stuff We Like. Bookmark the permalink.